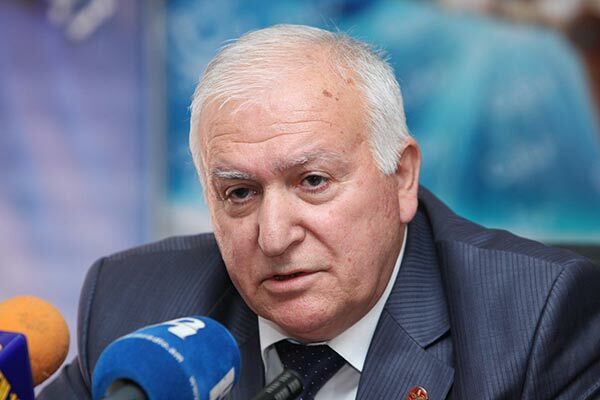 Vice-chairman of the ruling Republican Party of Armenia Razmik Zohrabyan has urged the youth not to succumb to provocations of superpowers and not to fuel social tensions in the country. The senior member of the governing party made the appeal in response to continuing protests in Yerevan against the 50-percent rise in public transport fares. The protests that first started on Friday, on the eve of the day when the new fare rates became effective, have been growing stronger in the following days, with analysts describing the phenomenon as a classic social rebellion. These protests, however, can be more precisely described as first civil disobedience actions when people do not obey government decisions they consider to be unlawful. Protesters speak about the absence of grounds for such an increase in bus fares which is disproportionate even to the rise in natural gas prices, while diesel fuel prices have not risen recently at all. Also, protesters challenge the legal procedure on making the decision, saying that the decision made by Yerevan Mayor Taron Margaryan has not been published yet, which means that it has not entered legal force yet. The opposition Barev Yerevan faction in the Council of Elders of Yerevan has called for an extraordinary meeting of the body to discuss the situation. The Armenian Revolutionary Federation, which is not represented in Yerevan’s municipal assembly, has backed the call. Meanwhile, Mayor Margaryan has not commented on the situation, while President Serzh Sargsyan and Parliament Speaker Hovik Abrahamyan are on vacation in Austria. With conspiracy theories being very popular in Armenia, authorities have used, on a number of occasions, references to ‘world conspiracies’ in settling problems with their own society. But this time there might be quite real grounds behind what Zohrabyan says. A social revolt and destabilization in the country would play into the hands of those who do not want Armenia to initial an Association Agreement with the European Union in autumn. At first glance, Russia would be the first party interested in that. On the level of pundits and political analysts the Kremlin has tried to derail Armenia from its European course. On the other hand, there is an opinion that the Armenian government itself would be interested in delaying the initialing of the document to avoid immediate complications. Some circles have hinted that as the process has provoked a strong reaction from Russia and its consequences may be unpredictable, it is better not to hurry in the negotiations with the EU. It would hardly be serious to contend, however, that the Armenian authorities would themselves provoke a social uprising in order to postpone the initialing of the Association Agreement with the EU. Most likely, after the recent increase in natural gas prices, which was accepted in society relatively easily, the authorities have decided that they can carry out yet another act of ‘racketeering’ and get away with it. But this time it apparently didn’t work. No doubt, some forces can use the social rebellion and anti-government sentiments to, indeed, provoke unrest, but there seems to be a broader understanding now that in that case blame would lie not with the rebellious youth whom the senior Republican is accusing of playing into outside forces’ hands, but with the authority who have been accused by critics of pursuing a policy of ‘racketeering’ the public.